I have seen many things...most of it I have shared except for the past few years. I will fill in some gaps. What I am sharing happened a couple springs ago, here in the Parkland Region of Manitoba. I took down all the prudent information..after I video recorded what I could. Being away from "man" and being with nature is something that I do cherish. With the peace, comes a distancing from the electronic world. I am willing to pay the price..even if it means no contact with people or sharing anything as quickly. I like to compare much of the way I live when living in the wilderness as being the same as living in the "old days". There was a time when people had to converse face to face to communicate. I still live like that as much as I can. It was in early June, 2017 that I was on the very edge of the southern part of Riding Mountain National Park in Manitoba, Canada. I had been staying on a farm and helping out there, since the beginning of May that year. It was mostly sunny out that Sunday. I had been outside for most of the morning and was now back and inside, making something to eat before I went out again. It is very quiet out there..There is no traffic. The road is a dead end as it leads into Riding Mountain National Park. It is all back-roads and the only thing you hear normally of man, are the jets and planes that pass by above. There is the occasional helicopter, and sometimes the military is seen but never a Chinook. I thought immediately that it was a very large tractor or bulldozer. The deep vibrations made me realize that it was coming towards the farm house. I thought it was my friend in one of his tractors and he was coming from his other farm to here. It did sound like he was almost there and I should be able to see him. I knew I would have to go outside and help out, with whatever was going on. I looked out the east window and saw my dog Zoso and another farm dog. They were both in-front of the house. 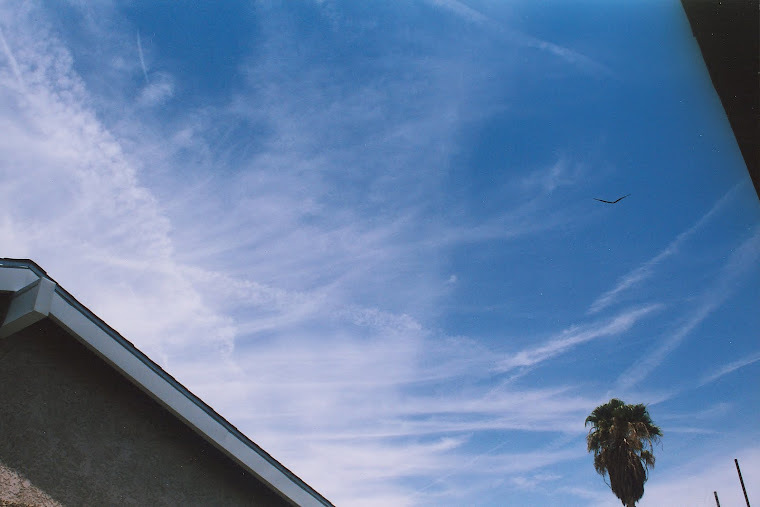 Both were sitting and looking towards the west, up above the house. What I heard approaching, didn't make sense to me. It was all pasture land back to the hill..then trees. It would be far easier to get to the farm if one headed down the gravel road instead cutting through fenced pasture land. The sound was getting very loud and it sounded like the tractor should be almost right at the house. I looked out the front window of the house again and I saw the two dogs now standing there..and both were looking up to the sky above the house. I decided to run outside and see what was going on. I was ready to help out however I could but there shouldn't be anything over the house. I ran outside...and suddenly it didn't sound like a tractor anymore. It sounded very large. The sound was getting louder as whatever it was.. was approaching and soon to come over the hill on the west side of the property. I walked further away from the house towards the east, so I could get a clear view of what was coming. I stood there for a few seconds..waiting in anticipation..and not really knowing what to expect. Suddenly there was what appeared as, a Canadian Air Force CH-147F Chinook Helicopter. I was kind of thrown off by it. It was something that I had never seen in my 17 years out here. I was standing watching as the Chinook cleared the hill to the west. It quickly became very apparent that there were two crafts cresting the hill. My initial thought was this huge helicopter is pulling something behind it. The fact was, I was not looking at anything be towed or pulled behind the Chinook Helicopter. 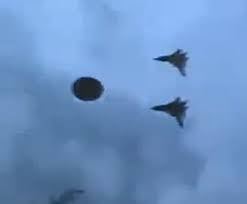 This disc shaped object was following the helicopter that close. 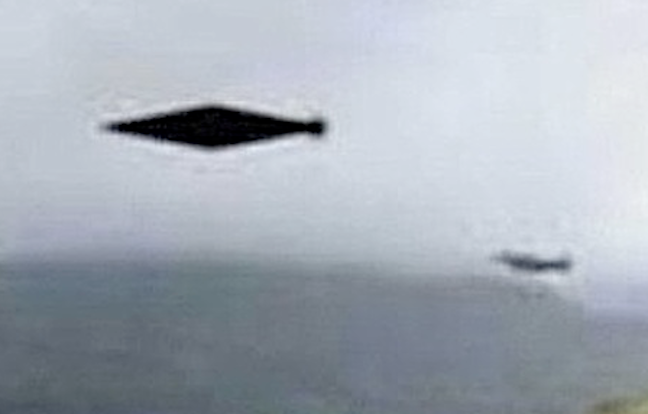 What I was witnessing was a grey disc craft (UFO) that was following the Chinook helicopter. It was only a couple hundred feet behind and a little bit below the Chinook. That is why I first thought something was in tow..because it was behind, below and very close to each other. The disc craft appeared like what I have seen before in the area. It was a non polished grey color under the craft. It was about 30 feet in diameter. It had no markings and nothing distinguishable except the fact it was a disc craft. 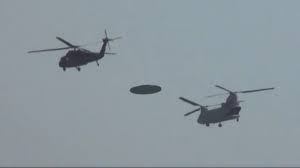 The Chinook was approaching the farm house..and the disc UFO was about 200 to 250 feet behind the helicopter and close to the same altitude maybe just below whatever altitude the helicopter was flying. Shocked and in disbelief, I ran to the truck that was parked out front. I had my camera in the truck. I had just been in the truck a few minutes before and had recorded a strange cloud that was just over the propterty as I came in. I grabbed the door handle of the truck and found it to be locked (old habits die hard). The Chinook and the UFO were both approaching fast. I turned and ran to the house to get the keys to the truck. I found them very quickly on the table and was out of the house and running to the truck. I looked up as I ran. The sound of the engines that keep such a large helicopter in the air were shaking the ground..and what felt like the air all around too. Both helicopter and disc UFO were now passing directly over head. 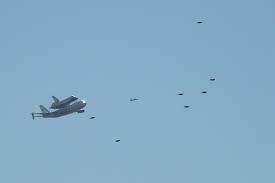 Still, all I could hear were the big engines flying the Chinook. Stumbling with the key and the lock (go figure), I finally got the truck door open. I grabbed my camera bag and opened the case. I was looking up again and seeing what was going on. My camera was turning on...but things had already changed.. The helicopter was already leaving very quickly and the disc craft was no longer there. All I could do is start recording. I could see there was only the Chinook in the sky now..but I did record its departure from the property. 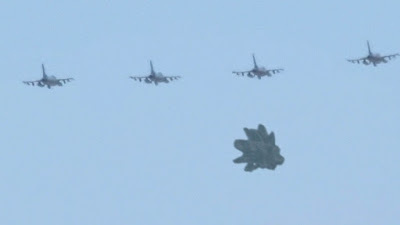 The video was taken at 1:45PM and it was just after the disc craft had been following the Chinook air craft. The UFO was now gone. To be blunt..the UFO stopped following the Chinook. I missed when the UFO left but it was definitely when the two were right above me. In this video, I had a sudden urge to stop on the back road and record a cloud that was near by. 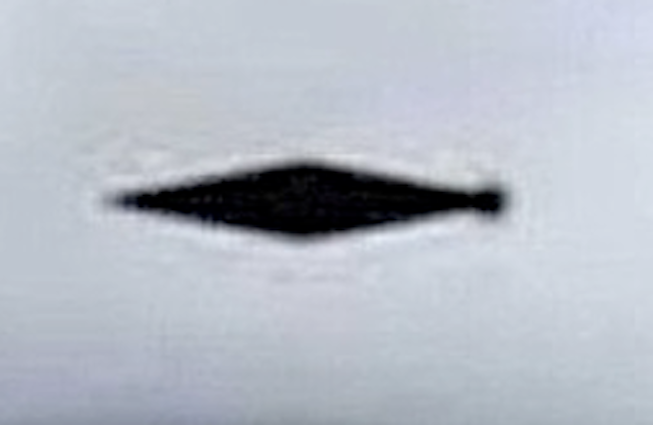 It was pretty much over the property where I would soon be and less than 15 minutes later I saw a disc craft UFO in the same location. I know how fast the greys can travel in the disc craft..and it is instant speed. There is no sound to them when they leave. (They are able to travel from a snails pace crawl, to in excess of 85,000 miles per hour in 1/10th of a second.) There is never any kind of sonic boom when the UFO breaks the sound barrier. The helicopter was traveling rather quickly and I was lucky to get it leaving. I thought it better than nothing at all. Normally these crafts are deployed in Canada to give emergency aid whether it be flood, fire, whatever Canadians need. I did I a bit of research and from what I have found, there was no Chinooks being used/deployed that day. That is not in stone though. Transparency is not a constant from Canada Government, and I can't find more. This is one of the links to our Canadian Government, where I was looking for the Chinook. 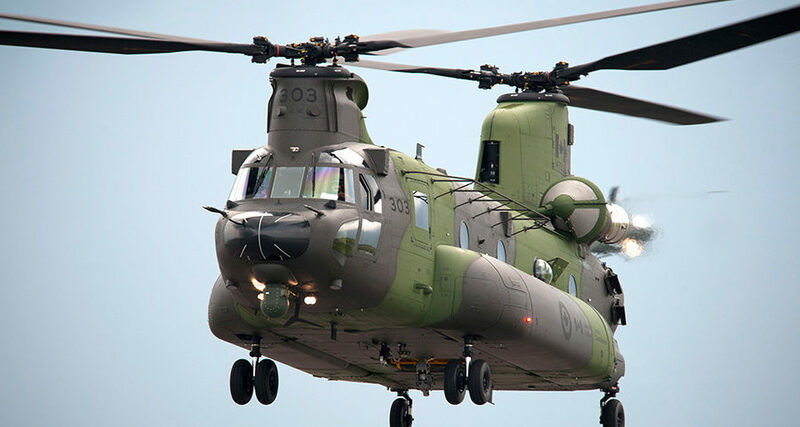 It would seem that they were using the Chinook in 2017 to "transport equipment and supplies to assist in flood relief efforts in several regions of Quebec", but that was not the same time as this sighting. If there is anything more that I can add to this sighting, I will simply be updating this article unless it deserves it's own. 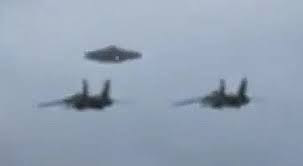 These are images that may or may not be real, depicting military and Disc Crafts /UFOs. Markings Left From An Alien Abduction? 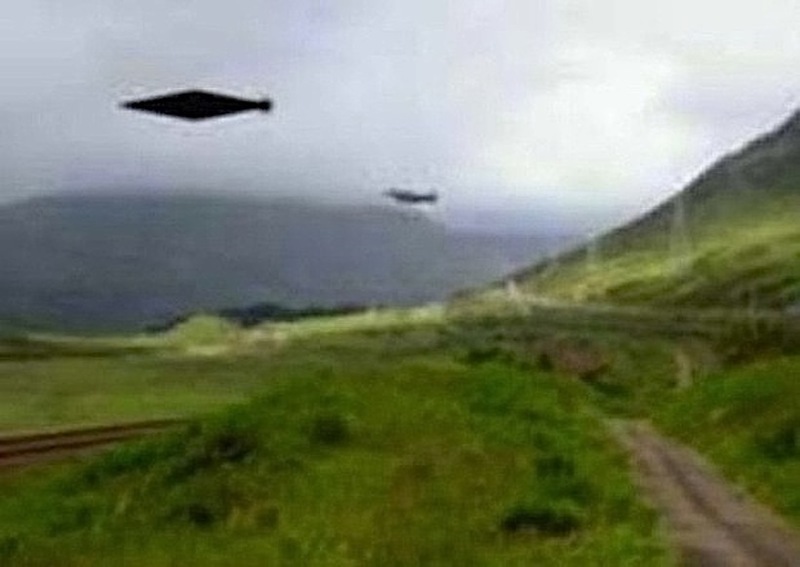 Shocking Scotland UFO / ET Encounters - "Thelmadonna's Story"
Having had close encounters and abductions with UFOs / ET (the greys) as well as men in black (MIBs), has caused me to step forth and share. I feel it is very important to share the truth. 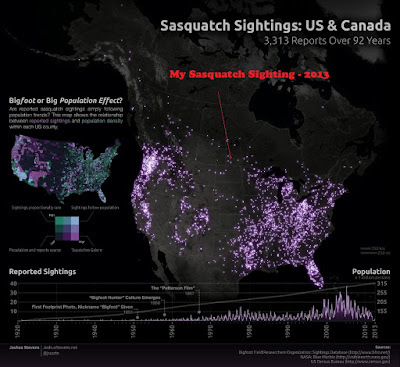 I am open for discussion of my events and sightings. I am also here for those who have had their own experiences but have not been able to discuss it with any one. If the matter of extraterrestrials and UFOs wasn't important, this matter would not be as well hidden and kept from the masses, as it is in the present. Are The Alien Greys Underground? Where open minds come together. Do you feel that the governments are lying about the existence of ET and UFOs? These 2 images are from one picture.